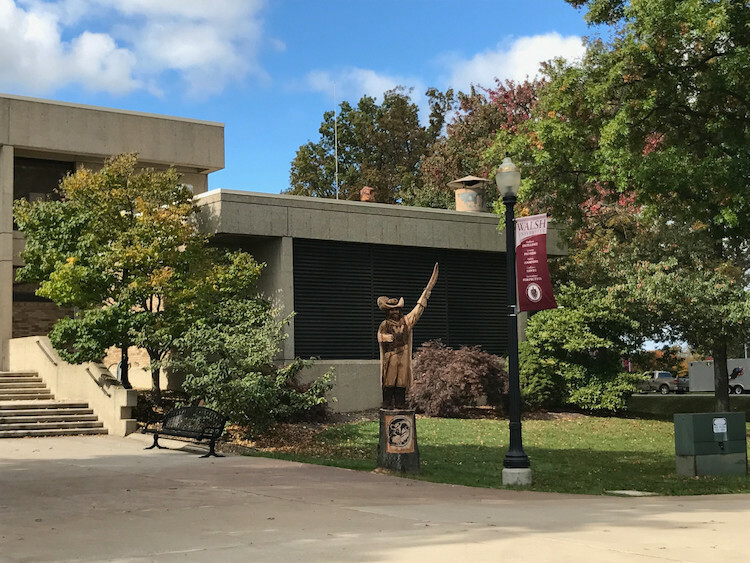 Where once stood a towering oak tree, now stands a wooden replica of Walsh University’s Cavalier mascot, Sir Walter, ready to greet visitors at the front entrance of the Cecchini Family Health and Wellness Complex. Heffernan drew a sketch of that idea, and shared it with Director of Facilities & Grounds John Schissler and Maintenance Supervisor Bobbie Foss, who were instrumental in the project. 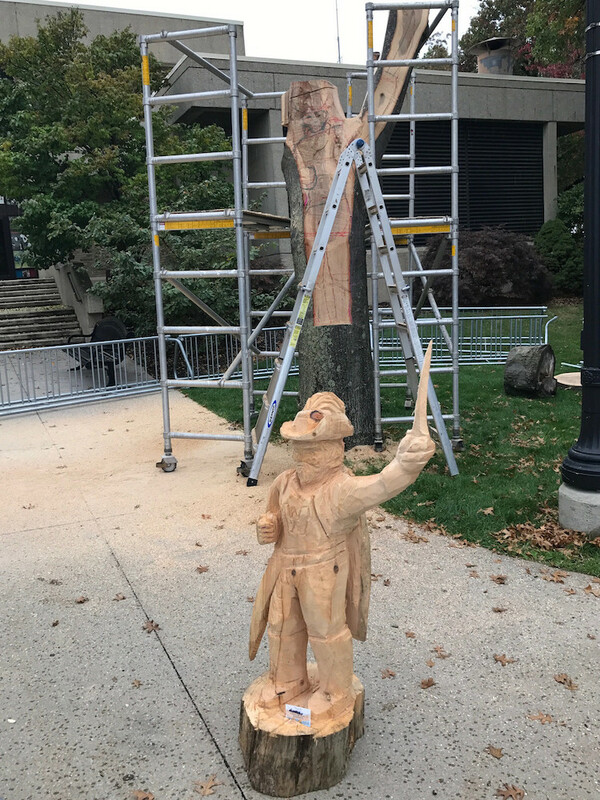 They helped salvage the tree and suggested local woodcarving/chainsaw artist Dan Kidd who turned Heffernan’s idea into a reality by sculpting the “victorious” Cavalier from the remaining 13-foot tree trunk and limb. The project kicked off Homecoming Weekend on Thursday, October 20, and was completed on Sunday, October 23, just in time to celebrate Walsh Football’s win over rival Malone the previous night. Kidd worked through a variety of weather conditions, including cold temperatures and rain, but the sun shone brightly as he placed the final touches. In total, the project took about 25 hours to complete, with hundreds of spectators stopping by and snapping photos throughout.